Stand-Up Paddle Boarding or SUP is a new fashionable sport developed in Hawaii. It is gaining tremendous popularity among surfers who find it as an excellent way to train while the surf is down. 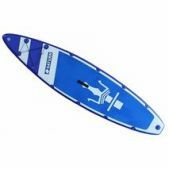 Paddle Boarding is an increasingly popular sport activity that involves paddling and/or surfing. It is as close as you can get to "walking on water".